Apparently someone at Lucasfilm saw Gareth Edwards’ Godzilla reboot this weekend, because the studio has just announced that it has hired him to direct the first of its planned standalone spinoff movies that are probably going to tell origin stories about fan-favorite characters. In a post on the official Star Wars site, Edwards said that he “could not be more excited and honored to go on this mission with Lucasfilm,” and that being able to “join the Rebel alliance” fulfills one of his lifelong dreams. The studio also revealed that Gary Whitta, the writer of Book Of Eli and a former video game journalist, will be taking care of the screenplay, with Whitta referring to Star Wars as “deeply special” to him and that “the opportunity to contribute to its ongoing legacy…is literally a dream come true.” It sounds like these two guys are at least bringing a lot of love for the series to the table, which is probably a good sign. People who like Star Wars have to know how to avoid making Star Wars terrible, right? People who aren’t George Lucas, obviously. Other than the fact that the film is set to be released on December 16, 2016, we literally don’t know anything else about what Edwards and Whitta are working on—unless, of course, that leaked list of planned Star Wars movies is accurate. If so, it would mean that this one will be the Boba Fett origin story, which makes a fair amount of sense given the backgrounds of Edwards and Whitta. Boba Fett gets eaten by a big monster, and Edwards just made a movie about a big monster that eats things. 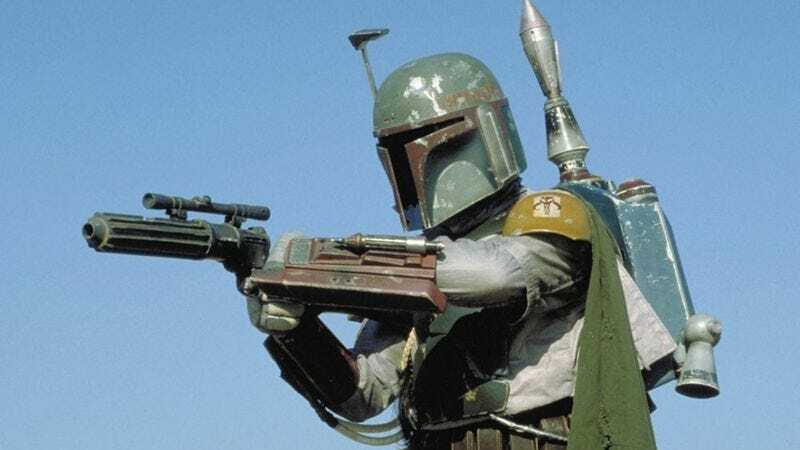 Whitta wrote a movie about a blind guy who travels around post-apocalyptic America with a copy of the bible, and Boba Fett is also a guy who probably travels around sometimes. Either way, we can look forward to casting rumors about even more Star Wars movies now. That’ll be fun.